It is always exciting to see new boards introduced - IoT continues to grow! Arduino have recently released a new suite of micro-controller boards containing the ESP8266 WiFi module by Espressif - bringing integrated WiFi capabilities to their line of products. Introducing the Arduino UNO WiFi, Arduino Star Otto which follow up the popular UNO and Due devices and the new Arduino Primo, their first device with integrated BLE functionality thanks to the partnership with Nordic Semiconductor. It was only natural to pair the classic Arduino micro-controllers with this chip to provide integrated WiFI functionality without the need of of an expansion shield. The original WiFi shield used the Wiznet W5100 chipset and the Texas Instruments CC3000 has been a low-cost alternative. 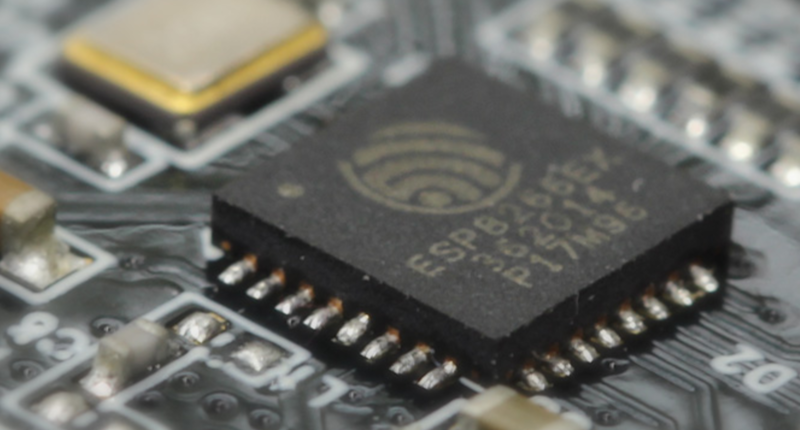 The ESP8266 not only brings WiFi to the new boards; it also provides the ability to perform OTA firmware updates - something that has been missing and surely will be welcomed by developers. The Arduino UNO WiFi seems to have been introduced just to complete the suite of micro-controllers and has been labelled more as a 'developer edition' as an entry level device for developers to become familiar with the new chipset pairing. The supporting micro-controller is exactly the same as the one within the Arduino UNO; running at a mere 16Mhz it seems underpowered sitting near the 80Mhz ESP8266 that is more than capable of replacing the Atmega328 entirely. It is obvious low powered micro-controllers are here to stay. The Arduino Star Otto surely packs a punch with the STMicroelectronics STM32F469BI, a respectable upgrade from the Arduino Due which was limited to 84mhz - it also offers a micro-SD slot, connector for LCD-Audio-Camera, USB Host, headphone and speaker output and an on-board stereo microphone for the development of audio visual projects. A massive 2 megabytes of flash memory coupled with 128kb of EEPROM and micro SD card means storage space wont be an issue on this device. It is unfortunate it is slightly underpowered at 180Mhz, meaning it wont be replacing a Raspberry Pi any time in the future. The Arduino Primo is definitely the most exciting from the new boards - not only does it sport the Nordic Semiconductor nRF52832 for Bluetooth Smart capabilities, but it also has an integrated NFC (Near Field Communication) module and infrared receiver and transmitter. It also has a 2-pin JST-PH connector for connecting an external battery to allow for easy powering. The Arduino Primo could be an excellent off-the-shelf candidate as an IoT gateway for BLE sensors; hopefully the SDK provided by the Arduino team allow the device to be utilized in both peripheral and central modes. A promising device that also boasts a 128Kb of EEPROM and plenty of flash memory for programming and a modest 64Mhz of processing power. I look forward to playing with all of these devices when they become available - the Arduino UNO WiFi is already available from your local electronics retailer. It is great to see hardware manufacturers working together to bring such devices and evolve the micro-controller market.